The cracking of popping seed pods is a common sound during late summer. Nature prepares for an abundant future as the next generation of plants explode from their pods and capsules and make their way to the warm earth. The warmth of the baking summer sun is retained as the mulch of Autumn leaves begin to fall and form the perfect places for germination once the Autumn rains arrive. Autumn is nature’s planting time. It is the time for us to sow, plant and mulch for the seasons of abundance and freshness ahead. What to do in the garden this April. Across the country, Easter is one of the busiest gardening weekends of the year as we make the most of a few extra days to complete some exciting projects around the home. The change of season brings lots of activity in the veggie garden. Whatever part of the country your garden is in, now is the time to prepare and to plant for the harvest ahead. Prepare the veggie patch by digging in generous amounts of organic material. To dig in manures such as cow manure will help to aerate the soil, add the natural goodness required for a bumper crop and encourage lots of worms to be working with you. Add lime and a quality complete organic fertiliser such as Organic Life to have the patch ready for action. 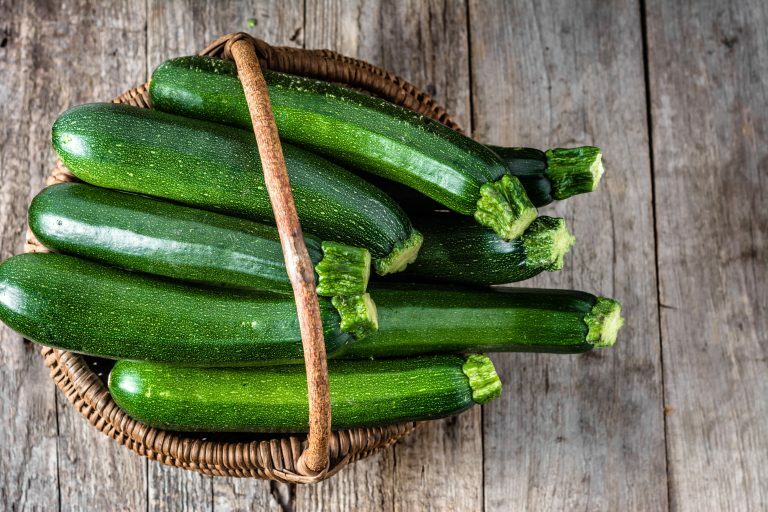 Northern areas of the country are getting excited about planting tomatoes, eggplants, cucumbers, sweet corn, carrots, beans, cauliflowers, silverbeet, leeks, spring onions and zucchini. 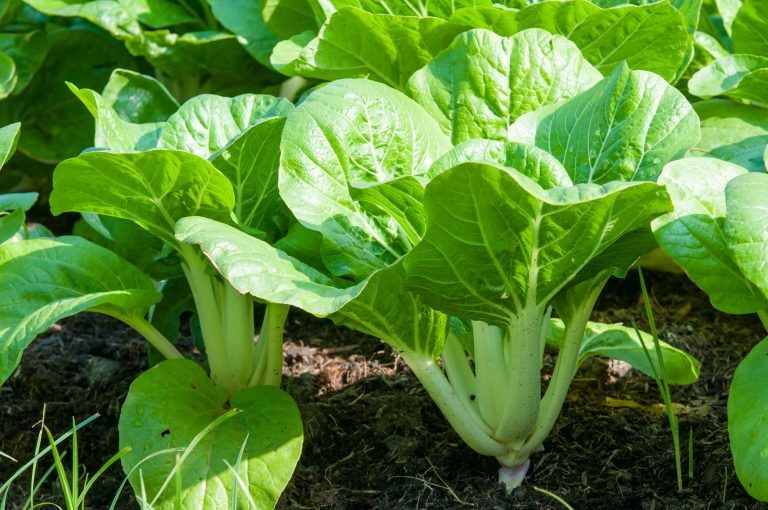 Southern regions are beginning their plantings of cooler month crops such as broccoli, brussels sprout, cabbages, cauliflowers, kale, leeks, lettuce, radish, silverbeet and onions. Visit your local garden centre or garden retailer for the best plants and advice for your climate. Once planting is complete, a nice thick layer of mulch will help to retain moisture, keep the soil warm and suppress weeds. Sugar Cane, Lucerne or Pea Straw mulches are perfect to achieve this and will have your vegetable garden looking fabulous. Herbs are easy to grow and very rewarding. Fresh or dried, herbs add zest to cooking, perfume to the home and have natural medicinal and cosmetic benefits. Herbs are great to grow in the garden but are also excellent to grow in pots and containers. Potted herb gardens are very popular with many herbs being grown together in the one pot or bowl. Autumn is a great time to create or to replant your herb gardens. There is a large selection available to plant now that will suit your region. When growing herbs in pots always use a premium quality potting mix. Rocky Point Coco Pro super premium potting mix is perfect and will continue to feed your herb garden for up to 12 months. Creating your own Food Forest at home is fun, rewarding and will ensure a constant supply of fresh fruit filled with flavour and goodness. The coming of winter brings with it the ideal time for planting deciduous fruiting trees, small fruits and berries, but now it the perfect time to plant citrus trees. Citrus trees are Australia’s most popular fruiting tree grown in home gardens. Lemons, limes, oranges and mandarins are among some of the citrus varieties to plant now. As homes are getting larger and building blocks are becoming smaller, many backyards are not able to accommodate traditional sized fruit producing trees. There is a wonderful range of dwarf fruiting trees now available including many varieties of citrus trees. They produce abundant crops of full-sized tasty fruit and are ideal for smaller gardens and for growing in pots on patios and balconies. There is lots to achieve in the garden this month. Autumn is a wonderful time of colour and change in our landscapes. There are many warmer month plants still flowering beautifully. As summer flowering annuals complete their flowering, remove and replant with new season’s annuals to produce months of brilliant colour to brighten the season ahead. Alyssum, calendulas, cinerarias, cornflowers, dianthus, nemesias, pansies, primulas, polyanthus, virginian stocks, violas and sweet peas can all be planted now. With such an abundance of flowering plants available, this is the ideal time to plant gardens, pots and hanging baskets to brighten up the winter days to come. Potted plants will only grow to the quality of the potting mix that they are planted in. Rocky Point Coco Pro potting mix is formulated to achieve the best results. Top up flower beds with some fresh garden soil. To use bags of Rocky Point Garden Soil is a convenient way to achieve this task without the mess and the need for trailers, shovels and wheelbarrows. Adding Rocky Point Active 8 to the soil will ensure that your plants thrive and produce masses of stunning colour. Southern Australian landscapes are transformed as deciduous trees showcase their displays of brilliant foliage colour. 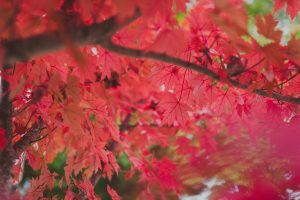 This is a great time to select trees in their full autumn glory to feature in your garden. Autumn and Spring are the main times of the year to fertilise most garden plants. During Autumn the earth is still warm and the arrival of autumn rains stimulates good root growth as plants store up energy and ready themselves for the coming spring. Organic Life fertiliser is excellent for the veggie patch and is also perfect for fertilising established shrubs and trees in the garden. For the planting of new plants, add just 50g to the base of the planting hole and spread another 50g on top of the soil once planting is complete. As summer flowering shrubs and trees complete their displays, it is time to prune back and to fertilise to encourage lots of new growth and lots of flowers for the next flowering season. Many perennial plants are still flowering beautifully. Once these have completed their show, they can be pruned back, divided and replanted for the next year’s display. As autumn is nature’s planting time, there is a vast selection of garden shrubs and trees for planting now. Regular garden centre visits will ensure that you experience the full range of the wonderful plants available. New season’s camellias are arriving now and are covered in buds and flowers. The two main types of camellias are sasanqua camellias and japonica camellias. Sasanqua camellias mainly begin to flower in autumn and continue into the winter. Japonica camellias will begin to flower in late winter and continue well into the spring. Complete your garden projects with a nice thick layer of garden mulch. This will help maintain the soil temperature, control weeds and have the gardens looking great. There is a huge range of Rocky Point mulches available to suit every garden style. The arrival of autumn rains brings lawns back to life after a long and hot summer. Fertilise lawns now to aid recovery and to establish a lush green lawn while the earth is still warm. Spring flowering bulbs are being planted now ready for their harvest of colour in late winter and early spring. 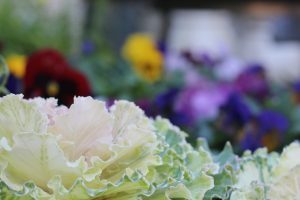 Daffodils, tulips, freesias, hyacinths, dutch iris, anemones and ranunculus are among the bulbs available for planting now in cooler areas of the country. Deciduous fruiting and ornamental trees will be arriving soon. The range of deciduous fruiting trees is huge and includes all the favourites such as apples, apricots, figs, pears, peaches, plums, cherries, nectarines plus many new exciting varieties. 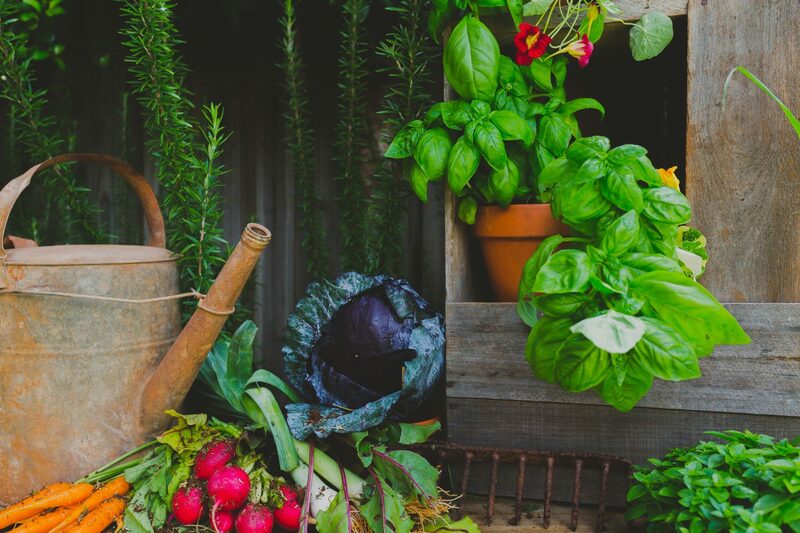 Your local garden retailer will offer expert advice and local knowledge to help to plan your food forest for years of harvesting of homegrown goodness. Place your orders to avoid missing out. New season’s roses can also be ordered now for winter delivery. Roses continue to be the world’s most popular flowers and there is a huge range available. Roses are available most of the year in pots but during the winter time many garden retailers offer bare rooted or bagged new season’s plants. House plants have seen a resurgence in popularity with the Jungle Vibe being created in homes and offices. The benefits of sharing the home with plants has well documented scientific benefits of improving air quality and wellness within our indoor spaces. There is a huge range of lush and healthy indoor plants available to create your urban jungle. 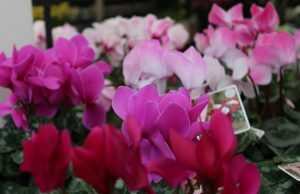 Beautiful flowering Cyclamen are now available and will deliver abundant flowering right through the cooler months. These are stunning indoor or patio plants and the cooler the nights, the longer they will flower. Cymbidium Orchids also love the cooler months and are fabulous feature plants for homes in cooler parts of the country. Autumn is an exciting time to enjoy the great outdoors and reconnect with nature. Garden activities are a healthy and natural way to relax, stay fit and to make a difference in the world in which we live. Have a great time in the garden this April. 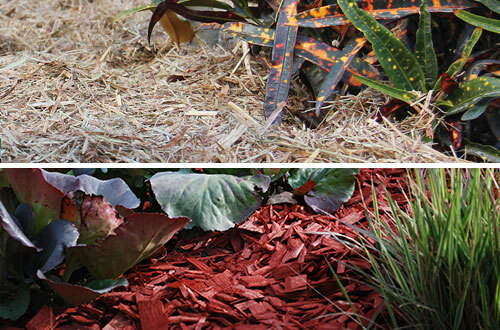 Which Mulch is right for your garden?